This one is a real winner. 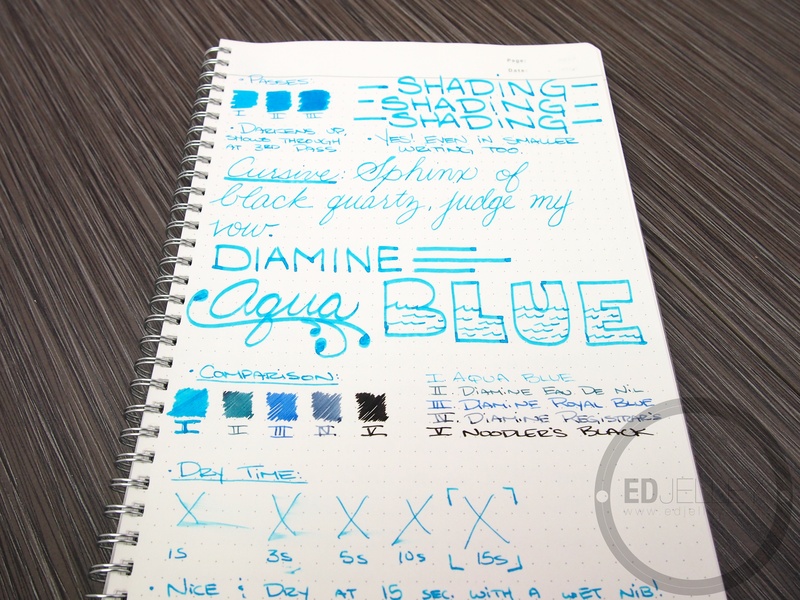 The awesome shading, great flow, and best of all, it reminds me of Sheaffer Peacock Blue (discontinued). 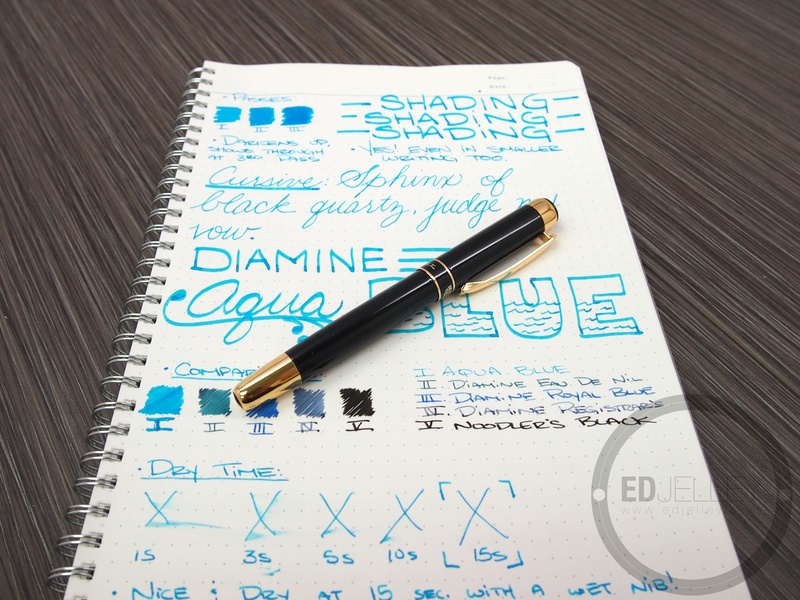 This pen and ink combo is pretty awesome too. 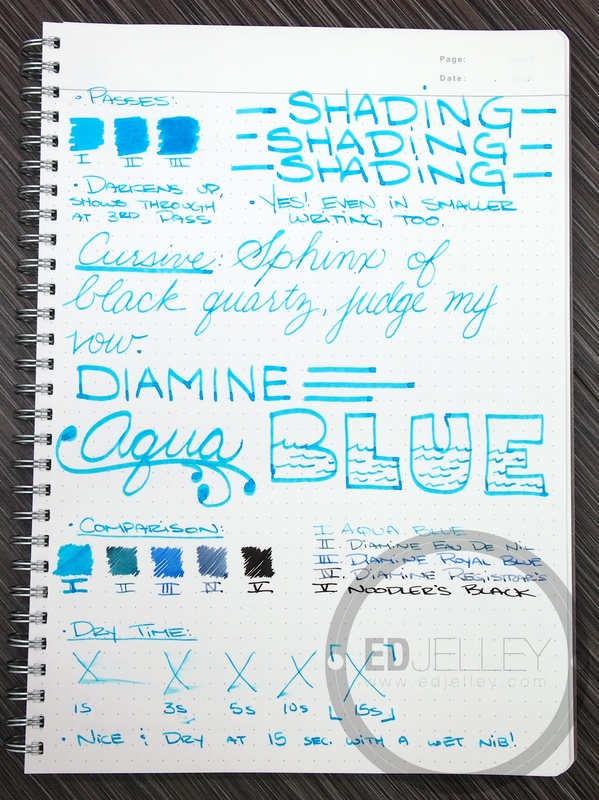 The wet fude nib really shows off the shading capability of the ink. 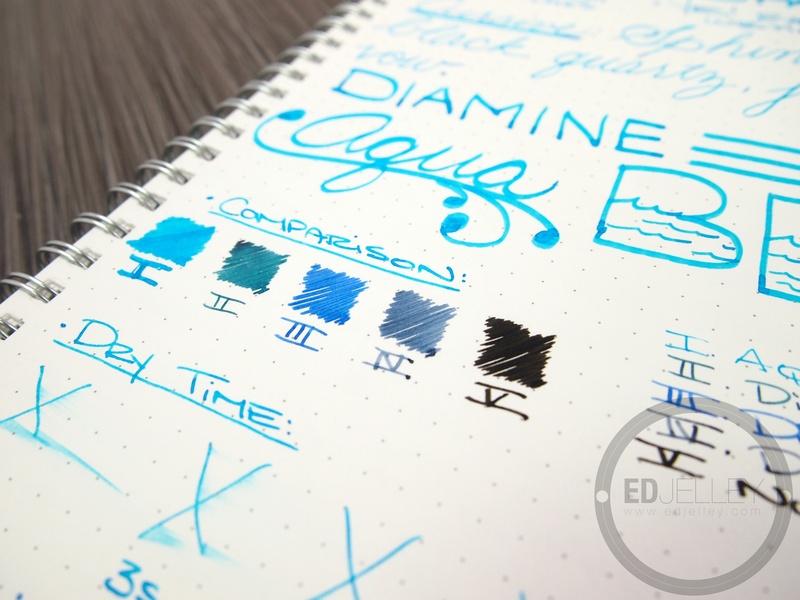 Another positive for me is the brand, Diamine, which happens to be my favorite ink manufacturer. 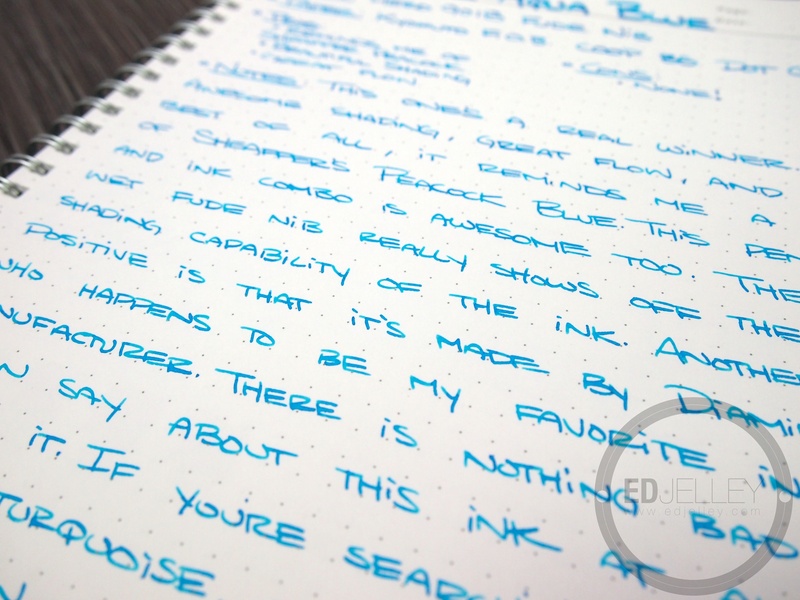 There is really nothing bad I can say about this ink at all, I love it. 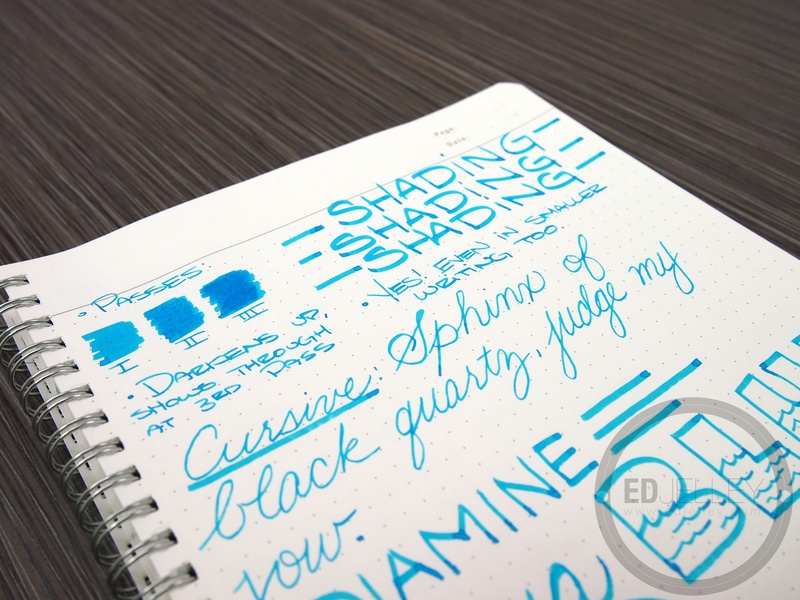 If you’re searching for a great turquoise, or a replacement for the now discontinued Peacock Blue, don’t sleep on this one. Thanks again again again to Azizah over at Gourmet Pens for sending this one over in the giant sample package she sent. Thank you! I may have to add this one to the collection when my supply of Peacock Blue runs dry. 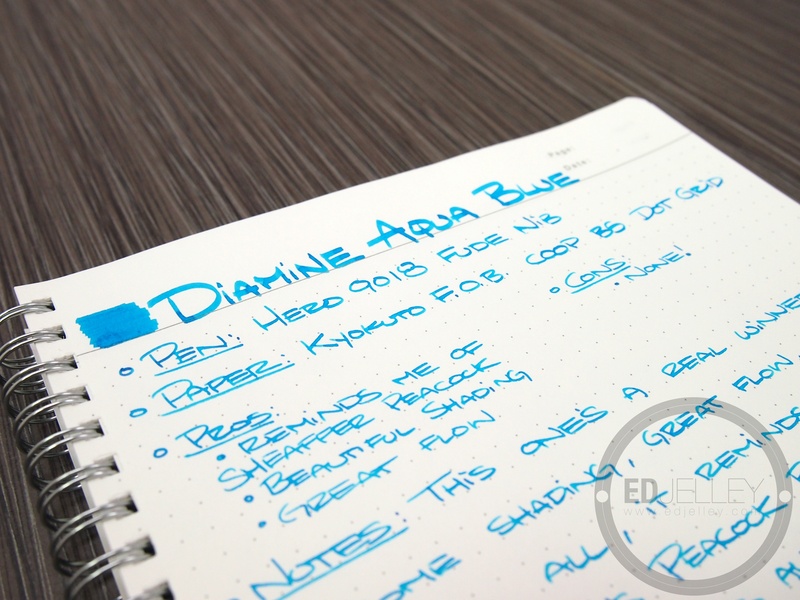 That looks like a gorgeous turquoise. Thanks for the review, I’ll have to try a sample. 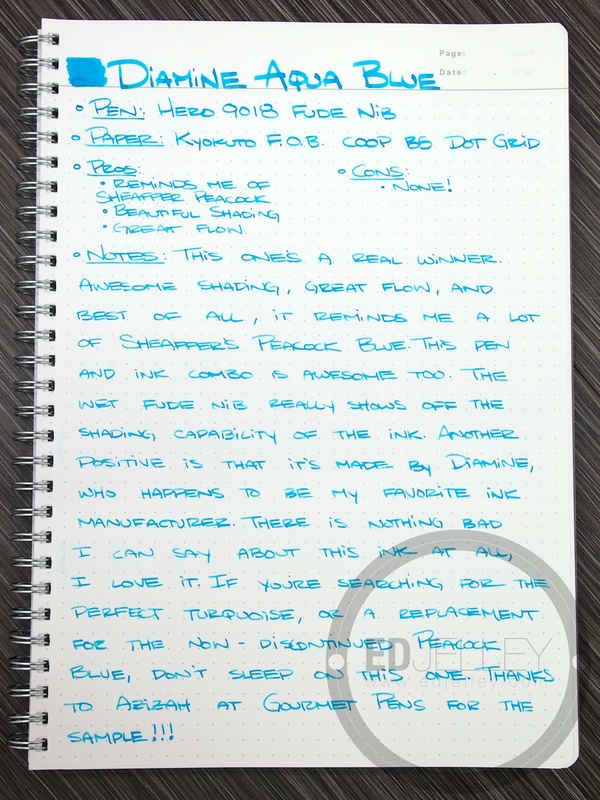 I never had a chance to try Sheaffer Peacock, but there was a good following of that ink. Haha, some pen humor is always good. 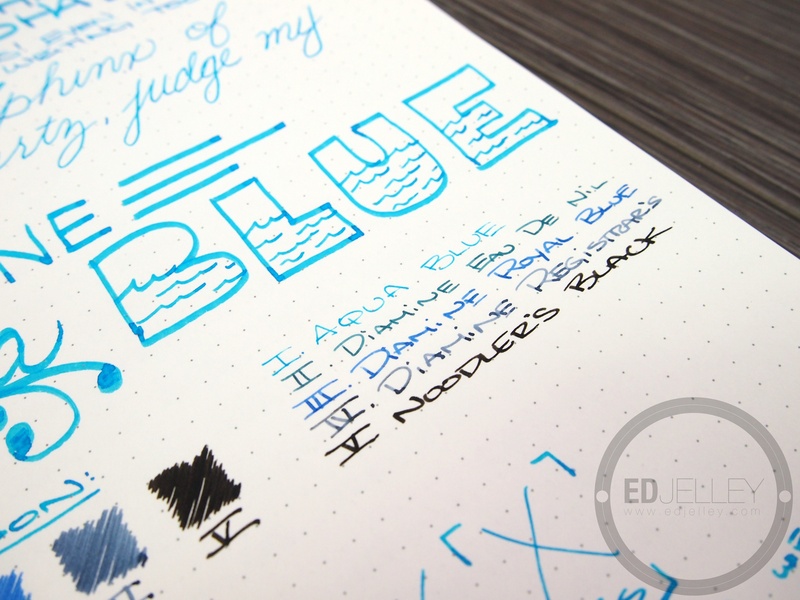 The pen and ink combo was awesome, I’ve been using the Hero for more and more ink reviews. This one is definitely super bright, I love it. YAAY! Another winner! So glad you like this one – I totally want to swim in it, too. LOL. That definitely goes in the pro category. It’s just so gorgeous. 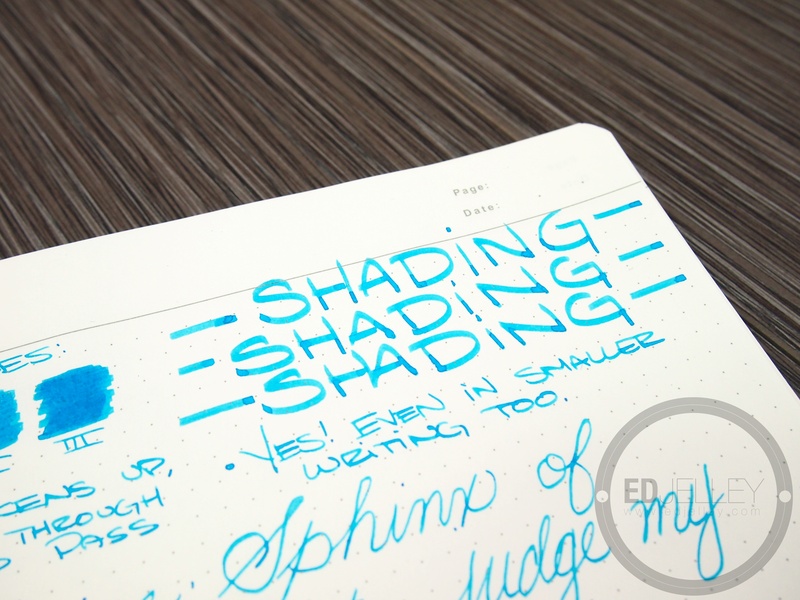 Looks spectacular in a super wet flex nib too. 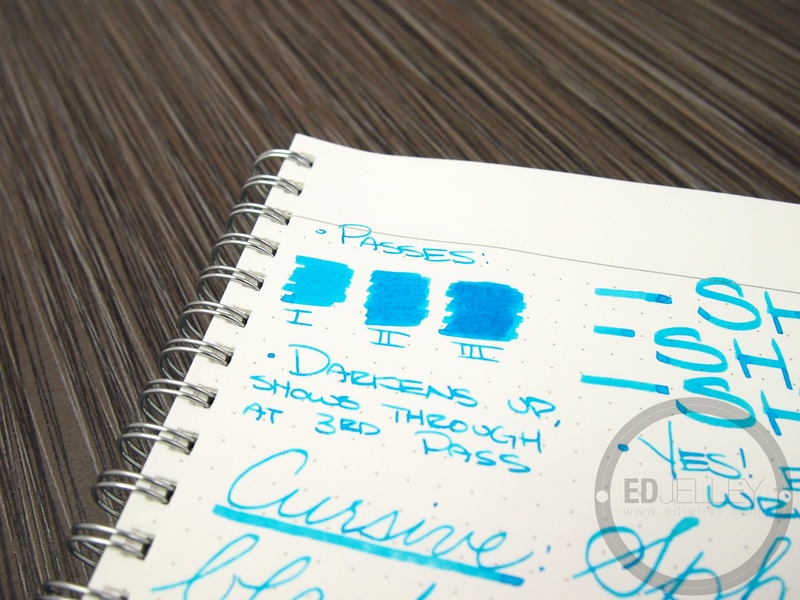 I use this with a Rhodia A5 Dot pad and Pilot Capless as my everyday combination at present. Nice! 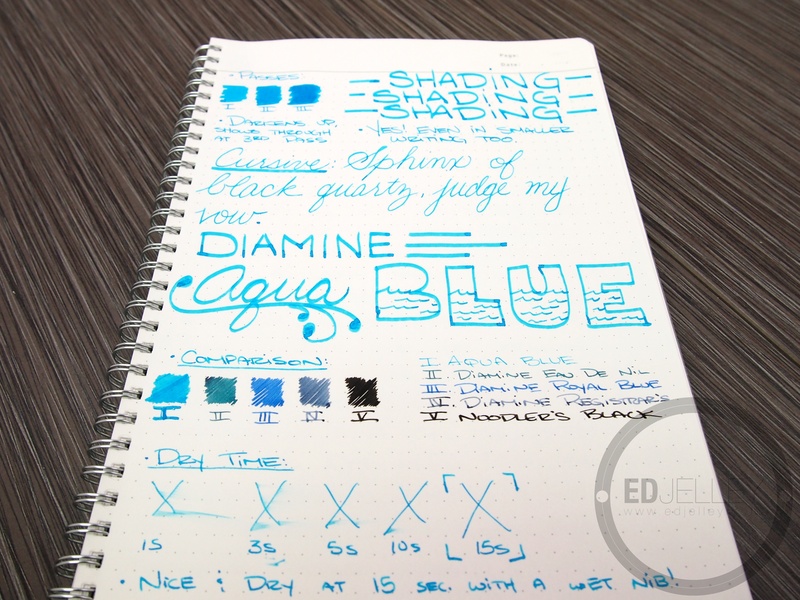 I’ll have to try this out in my Vanishing Point medium nib, it sounds like a great combo.